So its been a few days since I've posted anything, and even longer since I posted something with substance to it :/ Do you know that I actually get more down the more time between my creations, well it's true :( My health doesn't allow me to do much of anything, so when I don't do what is within my means I get purdy down. Needless to say if I'm posting now I obviously have had a break in my insanity, but oddly enough I still feel fairly blah-zay. This frustrates me, and I'm not sure why I can't shake this damn funk >_< Either way, here I am with a tasty treat to share with y'all :) I will try and keep this post upbeat and fun, but I'm struggling with this right now. I know many people are going to read this post and see the soda and will say it's full of sugars and processed blah blah blah. I agree that soda is not the healthy choice, but I also subscribe to the everything in moderation philosophy. But Dr. Pepper boasts a soda with 23 flavors, and while in Texas we prefer to get the real sugar version (btw soooooo much better). Naturally as a Texan, Nathan LOVES Dr.Pepper, especially the cherry version. 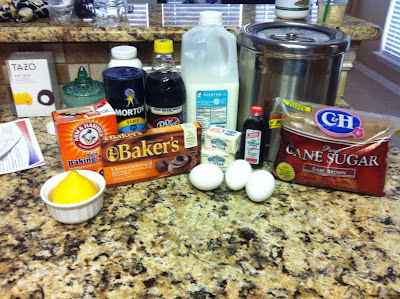 So when I came across a version of cherry Dr.Pepper cupcakes, I couldn't pass up the chance. 1) Preheat oven 375F. 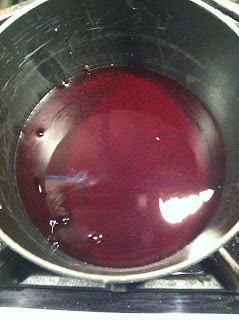 In a small saucepan bring the Dr. Pepper to boil. 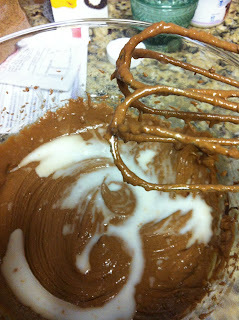 Set aside so it can cool before you add it to the batter. 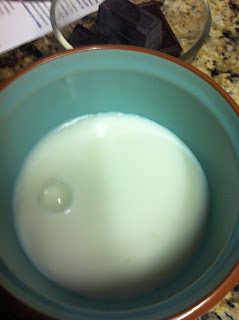 2) In a small bowl add the lemon juice (yes I squeezed it lol) to the milk and let sit. 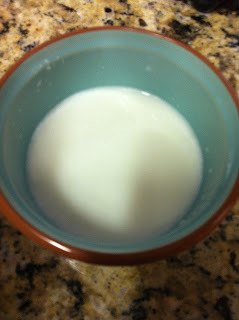 You can use buttermilk in replace of the lemon juice/milk concoction. 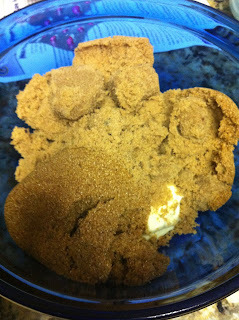 After allowing it to sit for 5 or so minutes, add the baking soda to it. 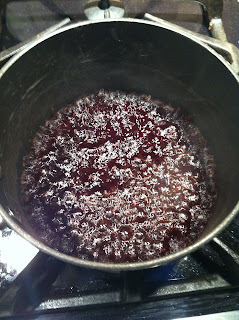 3) Cream together the butter and sugar, mixing until light and fluffy (not your typical light and fluffy because the butter to sugar ratio is very unbalanced). 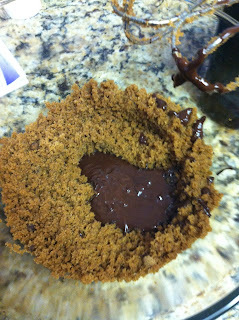 4) Add the melted chocolate, thats been slightly cooled. 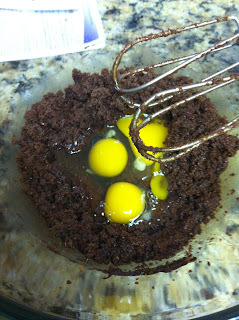 Then beat the eggs in thoroughly. 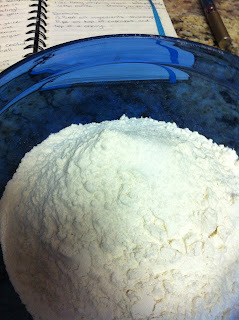 5) Mix the remaining dry ingredients in another bowl. 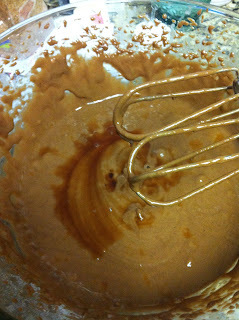 Alternately add the dry ingredients and the milk mixture to the chocolatey sugar mix. 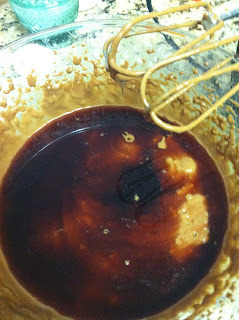 6) Mix in the vanilla and lastly the cooled cherry Dr. Pepper. 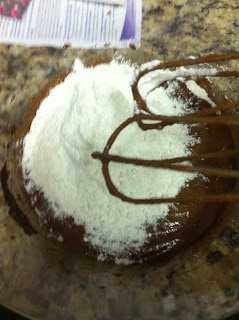 7) Pour into cupcake liners, bake for 20-22 minutes, or until a toothpick inserted into the center comes out clean. 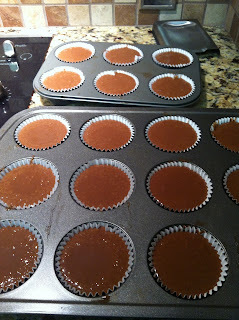 Of course these bad boys aren't finished, there is a deliciously and light frosting to finish them off, but as per my torturous ways, that will be tomorrows post! 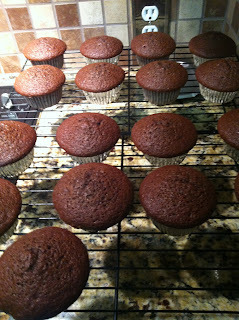 Again, like with the cola cupcakes, they're light and airy and not overly sweet. They're not over-powered with the taste of cherry Dr. Pepper, but it has a lovely under tone of cherry. As you know I'm a cherry junkie, so needless to say you can let your imagination run wild with how these bad boys will be finished.